How I have been spending less than $200 each semester on college textbooks. Let's face it, college textbooks can be expensive. I remember attending my "Freshman Orientation" and there was a presentation about "PrePacks." These PrePacks cost $600 for all of the required textbooks needed for each semester. It is a way for the college to get more money. I have decided to provide some resources on how to save money when buying college textbooks. 1. If your college has an online bookstore that includes the ISBN numbers of all the textbooks you need, then copy and paste that ISBN number into Google. That ISBN number might show up on maybe Amazon or Barnes & Noble. 2. Rent textbooks from Chegg.com! I love using Chegg! The textbooks are shipped to you in an orange box at the beginning of the semester. Keep that orange box until the end of the semester. When your textbooks need to be returned, follow the directions on the Chegg website and bring your textbooks back to your local UPS store. 3. Compare prices from different textbook sites. The websites I use to compare prices are: chegg.com, half.com, amazon.com and barnesandnoble.com. 4. Buy (or rent) digital forms of the textbooks! Sometimes you can buy the online version of the textbook and download the textbook onto your laptop, iPad, Kindle, etc. 5. 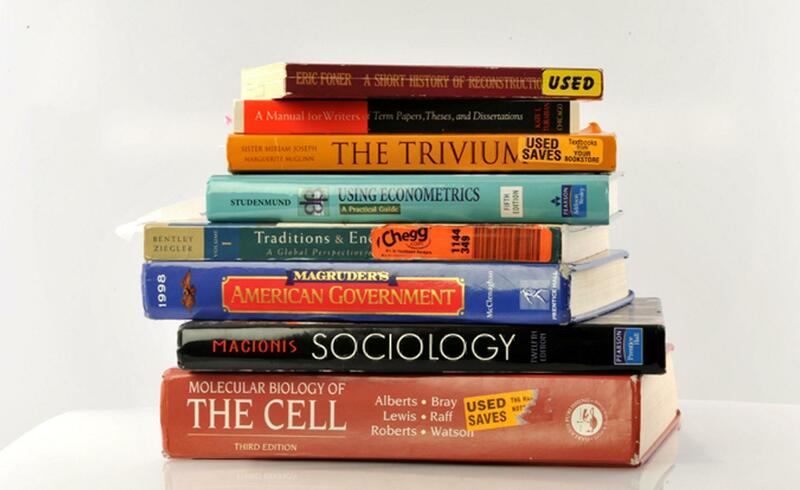 Check your college's bookstore to see if they have the textbooks in used condition. As long as the textbook is legible and not entirely damaged, it is worth it to buy a used textbook that you will most likely use for one semester. Hopefully these tips have provided you with a few more options to consider before spending more money than you need on textbooks.